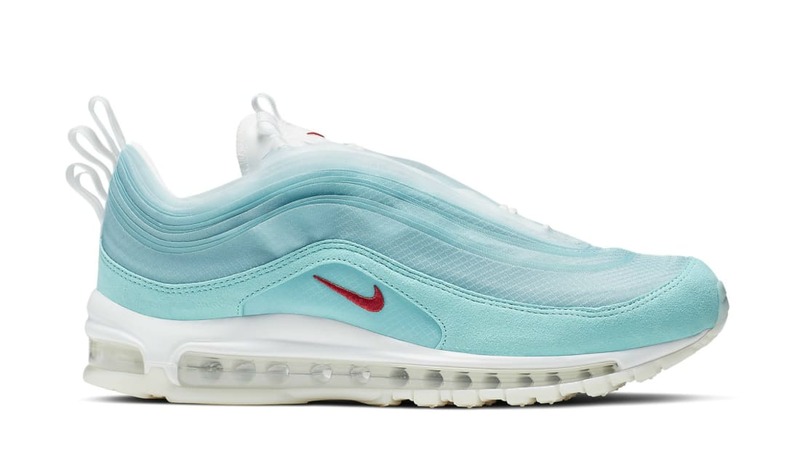 Nike Nike Air Max 97 On Air "Kaleidoscope"
The Nike Air Max 97 "Kaleidoscope" designed by Cash Ru will sport a teal mesh and nubuck upper with a white tongue, red Swoosh branding, which sits atop a white midsole. Release date is Apr. 13, 2019 at a retail price of $200.